You regularly perform special configuration settings for Thunderbird. For this, you have to search at first how you can get back to the entries of “about:config”. Install the free extension ‘ViewAbout’ and quickly get the desired settings of the extended configurations. Go to “Extras | Add-ons” in Thunderbird and click “Install”. Then navigate to the new XPI file and “Open” these. You get the required permission by clicking “Install now”. Finally, you must “Restart Thunderbird”. In future, you will see a new entry “ViewAbout” in the menu “View”. You now have direct access to all the available “About” pages in its sub-menu. You will be surprised to know how many additional options are hidden there. However, not all of them function in Thunderbird. 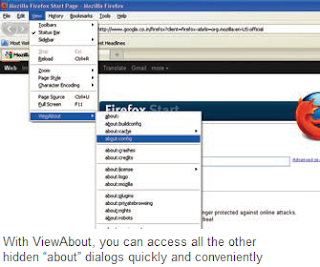 Note: The extension ViewAbout can also be installed in Firefox. Although the call up “about:config” is simpler here, it functions still faster via this menu and moreover, you can see which other “about” pages are still available.